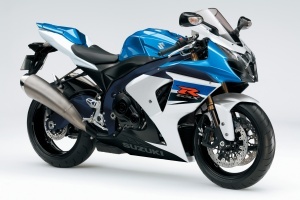 This page is devoted to the GSX-R1000 from 2009-2011 which happens to be one of my favorite sports bike – literally to 2013. My criteria it very simple – build quality is top end, looks great, horn inspired, titanium exhausts looks different from any other 1000cc motorcycle built during that time, the engine is fantastic and handling – what can I say brilliant on standard settings based on one track outing. I don’t claim the (2009-2011) GSX-R1000 to be the ultimate, because it isn’t as there will always be something new and improved! As motorcycle technology ‘improves’ the GSX-R1000 of this era will be the last of series that are genuine human led racers sports motorcycles. From now on technology in the form of ABS, traction control, electronic gearbox otherwise known as automatics will takeover. All the new tech will help riders improve their skills to a point but ultimately these system will mean we will not be able to differentiate that which separates the average rider from the great! In essence limiting our own experience. I’ll have a rave about what I think is going to happen in a later post!